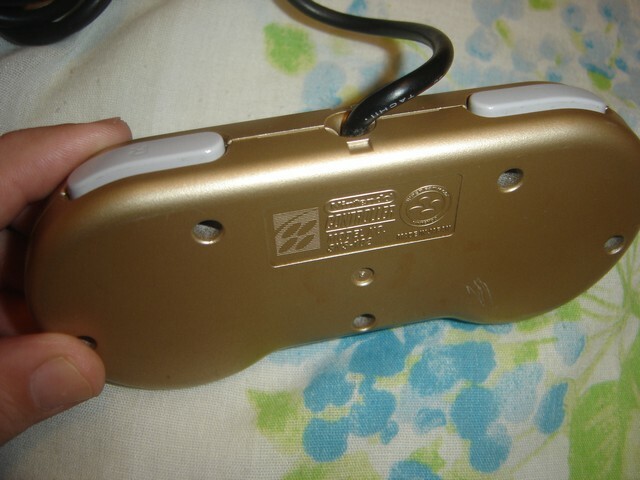 Here is a gold controller given out in a contest in Brazil. Thanks to Monge Cravos for the information and pictures. 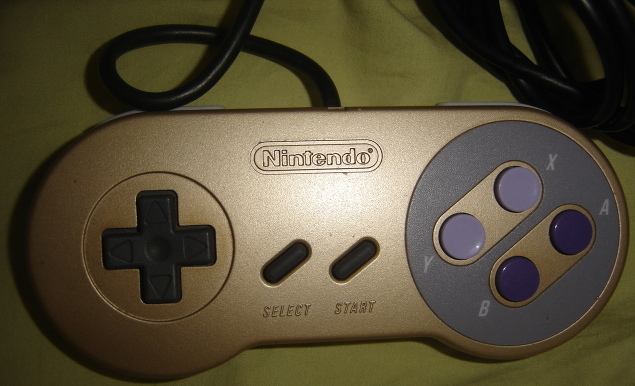 This was a special edition controller that was included in the 1998 World Cup edition of the Brazillian Super NES, and came with International Superstar Soccer Deluxe as a pack-in. It also was given away as a prize for Blockbuster championships (perhaps the Blockbuster World Championships held in 1995?). It is a very nice controller, though it looks sort of funny with the standard colour buttons. Closeup of the back of the controller. 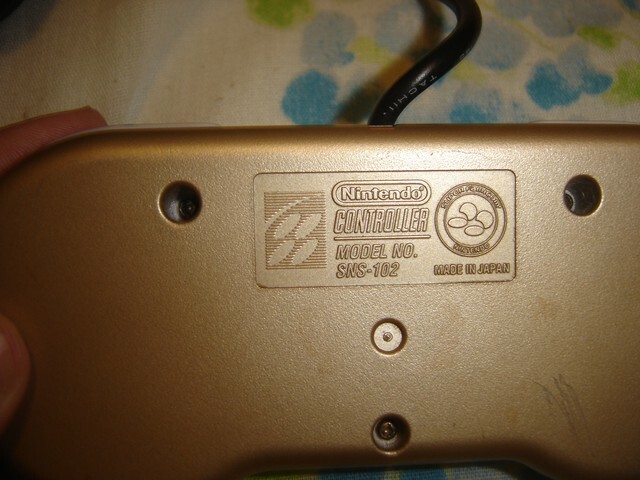 Note that unlike most controllers, it has both the SFC and Super NES logos engraved in the back.